It’s fair to say that Facebook isn’t enjoying a great time at the moment. The company is stumbling from controversy to controversy; it’s gotten flak for everything from fake news to influencing elections How Your Data on Facebook Is Collected and Used to Win Elections How Your Data on Facebook Is Collected and Used to Win Elections What do you do when your Facebook data is harvested and manipulated to influence the course of international politics? Read More . But although its problems are well-documented, it still has more than two billion users. And many of those people use the service to debate and discuss politics (despite 31 percent of Facebook users saying they’d unfriend someone who talks about politics too much 5 Tips to Block Politics From Your Facebook Timeline 5 Tips to Block Politics From Your Facebook Timeline But every four years in the United States, the election comes along to completely and totally transform Facebook into a virtual nightmare. Here's how to block political posts on Facebook. Read More ). Given so many users talk about politics, Facebook’s algorithms can make a reasonable assumption about your political beliefs—which party you vote for, which politicians you support, which ideology you have confidence in, and so on. So, the million-dollar question: Has Facebook got it right? To find out what Facebook thinks about your political beliefs, you need to dig deep into the settings menu. Follow the instructions below. Click on the small arrow in the upper right-hand corner. In the menu on the left-hand side of the screen, select Ads. Scroll down and expand the Your Information section. Click on the Your Categories tab. You’ll probably see lots of tags covering many of your interests, but somewhere in there, you will find a label(s) about your political leaning. Remember, these are not tags you’ve added yourself. Facebook adds you to the categories based on your online activity. If the tag is wrong, you can fix it. Just click on the cross next to the tag in question. Finally, keep in mind that there are much better ways to get your political news How Do You Choose The Best Political News Aggregator? How Do You Choose The Best Political News Aggregator? The events of the political world can have a huge impact on your personal life. 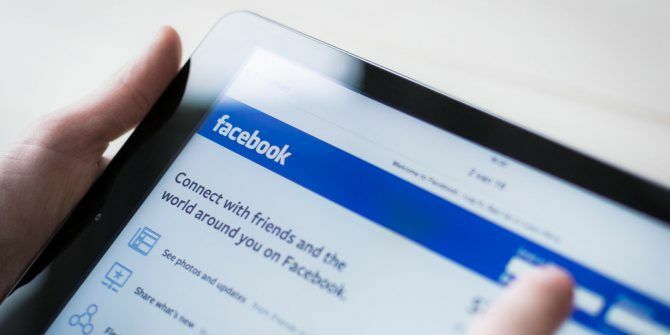 You need to make use of a reliable and robust political news aggregator – but how do you choose the... Read More than via Facebook’s news feed. "Facebook Predicts Your Political Stance Based on Your Activity"
Sounds very much like something out of Wisdom of the Crowd. "the million-dollar question: Has Facebook got it right?" In absolute terms, probably not. It all depends on what kind of biases were unintentionally incorporated into the algorithms slicing and dicing the data.